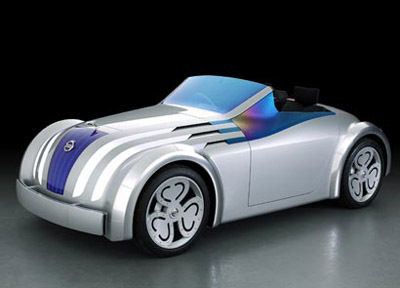 The Nissan Jikoo concept is a car which pays homage to several different Japanese craft and design disciples. 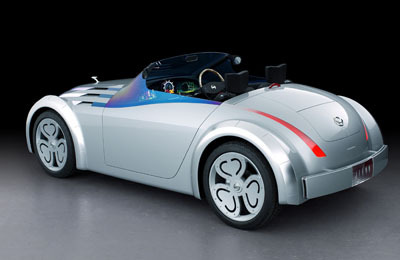 The overall shape of the Jikoo is in the style of the Datsun Roadster from 1935. The headlights expand on the idea of light shining through paper, like japanese paper lanterns. 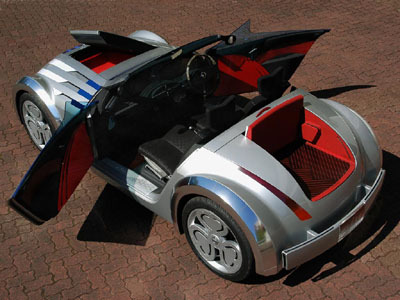 The trim on the front wings is manufacured using traditional panel beating methods. The interior of the Nissan Jikoo strives to expand the passengers knowledge of Tokyo's history and layout by continualy providing information of the City. In reality this technology coul be integrated into a GPS system, telling the driver where to go, and providing the passengers with interesting local knowledge. Basically an automated personal tour guide. In 2006 Google announced that they were working on a similar location based advertising system which would provide directions to the driver of nearby shops selling items they had requested. Not an identical system, but certainly one which could be adapted to suit purely informational services like the Jikoo originally envisaged.